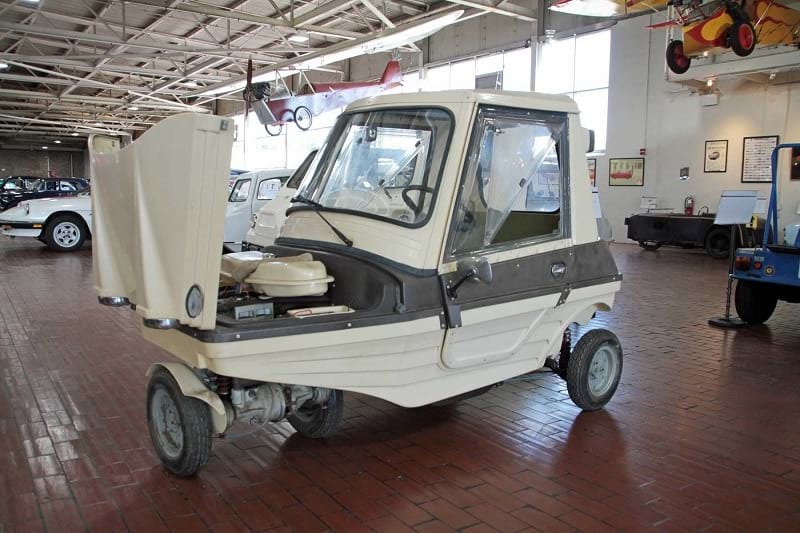 1978 SEAB Flipper microcar featuring a fully rotating drivetrain at the front. The Flipper is powered by a 47cc two-stroke, single-cylinder, 5 HP Sachs ADLX engine. i like the power steering on that floor. I thought it was because it was good at sea b.
I saw a quad bike that locked on fullthrottle when the granny reversed to show the littlies a snake beside the road. It spun round several times, in reverse at full speed, before flipping & throwing itself & the occupants down a small bank & through a horse fence. Granny & the 2 kids all escaped serious injury. I had to run up a hill to call 000 our emergency number.